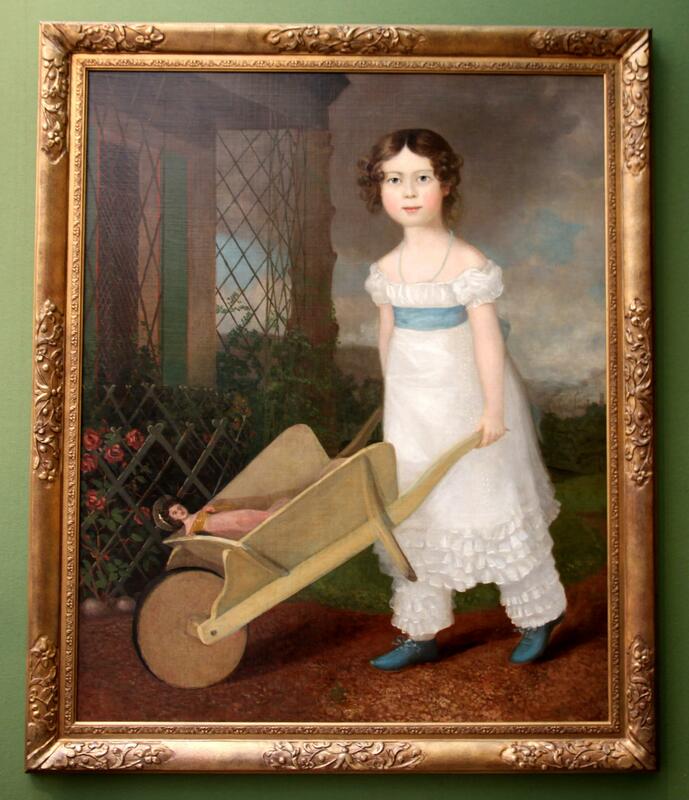 Oil on canvas of girl with her wheelbarrow. Oil on canvas of girl with her wooden wheelbarrow and rag doll striding passed green painted Cornish panel fence of red roses. 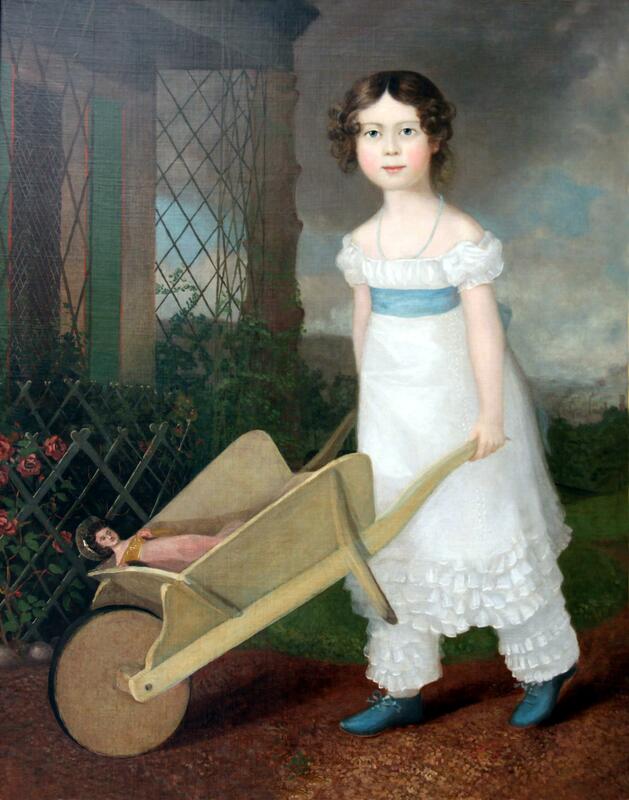 English, circa 1800 With blue eyes, blushed cheeks and beautiful curling brown hair, she wears a long and flowing white silk dress extensively detailed in lace and a blue silk sash and matching blue silk shoes, suggesting a girl from the upper reaches of the aristocracy.